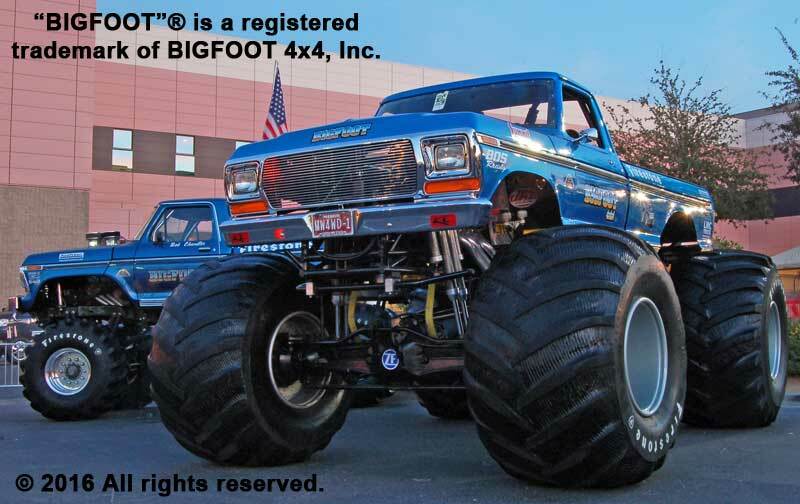 When BIGFOOT #12 was finished it was the 14th vehicle in the BIGFOOT fleet. It was built solely to be used as a dedicated display truck. It has a tubular chassis similar to that on our race vehicles. It debuted in conjunction with the Super Bowl on January 28, 1993, in Los Angeles, California. Since then, it has logged countless display days for Firestone, Summit Racing Equipment and numerous other sponsor events. #12 is currently touring the U.S.